I won't leave the house without it! perfect. Really, now I do have the "pregnancy glow" and frankly even when I'm not pregnant I will too, now that I have found this makeup. I am so excited to have great looking skin, I feel so much more confident with myself, especially while talking with people face to face. Thank you so much for the work you guys have clearly put into developing an amazing product. "I don't wear a lot of makeup, so I was looking for a product that covered imperfections in my skin, but wasn't heavy. Mineral Hygienics foundation is perfect, and better than other mineral products that I've tried! It stays on all day and looks like I'm not wearing any makeup at all. My skin still feels like my skin, but better. These are truthfully the best natural cosmetics money can buy. I applied these minerals on my face, I look and feel great. It amazes me because in the past I had tried all kinds of cosmetic brands but I had different types of reactions, from hives to dizziness. I thought something was wrong with my skin and I researched about the ingredients on those cosmetics. I was shocked to find out that they had many synthetic chemicals which are harmful to my health. I found out about mineral cosmetics, I tried some but still had headaches. I learned the hard way that not all mineral cosmetics are the same, some still use few harmful chemicals. With Mineral Hygienics I am able to wear make-up for over 2 hours for the first time in my life! Thanks to you. I want to tell about this product to all women around the world!!! As a student with a busy schedule, I love that Mineral Hygienics is quick and easy to apply and doesn't show mistakes or make-up lines like some foundations. With its lasting coverage I can apply it in the morning and forget about it for the rest of the day. I am a minimalist, but my imperfect skin doesnâ€™t give me the confidence to go completely â€œau naturalâ€�. I was so happy to find an all natural makeup that is both good for my skin and actually works! Thank you!! When it comes to makeup, Iâ€™m a perfectionist. In my daily morning routine, I used to spend 45 minutes applying and blending my makeup. Since I have switched to using Mineral Hygienics, I have cut my time down to 10 minutes and love the way I look! My face looks perfect!!! Mineral Hygienics is pure, natural, and weightless. I love it because it doesnâ€™t feel like I am wearing make-up, not to mention that it doesnâ€™t harm my skin. It has awesome coverage compared to bare escentials â€“ which I will never use again. Your minerals easily cover up my redness and provide my skin with an even tone and a subtle glow. I also like the SPF factor as a preventative means of skin care. In my opinion, Mineral Hygienics is the best makeup that anyone could buy. Thank You! this makeup works, but Iâ€™m very happy with it. blend in the sticky liquid foundations. I love it! This product is amazing! 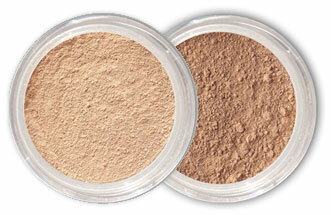 It provides maximum coverage while providing a lightweight, not cakey look. Looks natural. I would highly recommend this to everyone of any skin type!